I received a great document today, it’s a list of highlights culled from the minutes of the Vancouver Park Board compiled in 1948 by Superintendent P.B. Stroyen. 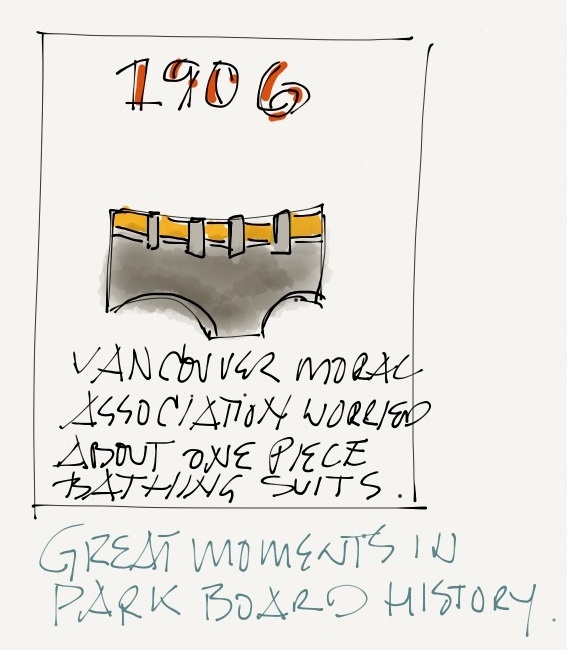 In 1906, the Vancouver Moral Association raised objections to one piece bathing suits and the low class of music played in the park. 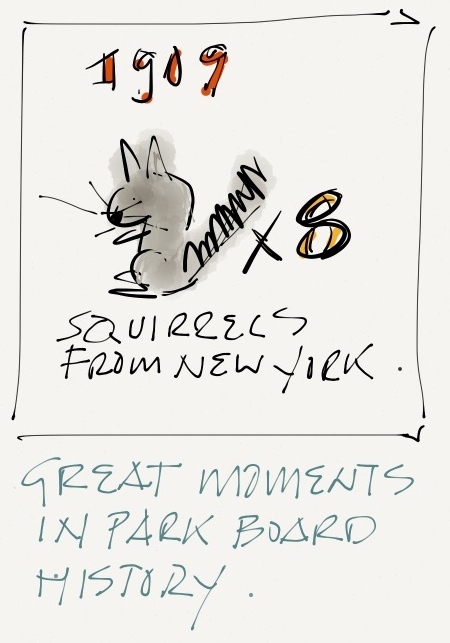 In 1909, the Board received a bunch of Grey Squirrels from the New York City Parks Department and in 1910 the photo concessionaire requests that the Big Hollow Tree not be cut down when the road is widened. In 1914 the dumping of garbage over Prospect Point is prohibited.